Bayanov Dmitri. 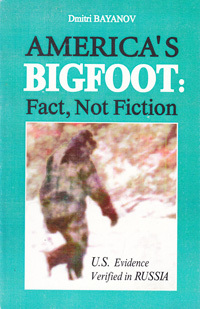 America's Bigfoot: Fact, Not Fiction. U.S.Evidence Verified in Russia / На англ. яз. –Moscow: CRYPTO-LOGOS Publishers, 1997. – 224 p: ill.